Well I’ve just done it again and taken about an hour to run up and back to the store on the Suzuki Burgman and the store is only 3 miles away. It’s not that the bike is slow, it’s anything but slow. And it’s not that I had any problems while riding, the motorcycle runs like a champ. No the big problem is that it is just so much fun to ride that I can’t help but snaking down some twisty roads on the way to the store. And you how it is when you love to ride, one corner leads to another and one turn leads to yet another new road to explore. 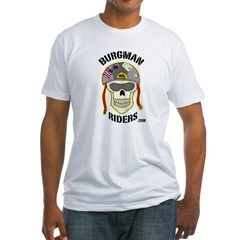 Only in riding the Burgman can a simple trip to get some office supplies turn into an ear-to-ear grinning session that makes all the stress evaporate and make me really appreciate the day, the surroundings and my Burgman motorcycle. To make the trip even sweeter, I got nearly 56 MPG on the 47 minute trip. Now that is pretty good for a 650 cc motorcycle. And on a MPG/Mile equation, I got my moneys worth and then some. Sometimes I think that I intentionally forget stuff at the store just so I can go back again for yet “one more thing”. The Suzuki Burgman is just that fun to ride. Yep, That’s me all the way to the store. I have been so happy with my purchase 2008/650 I am always ear to ear grinning. Keep the ride alive. I can relate. Wife has accused me of forgetting items just to have a reason to go again–not true, not consciously anyway. I will confess that before January my commute was only 7 miles and I’d arrive at work wishing it was a longer trip. Be careful what you wish for– In January I got reassigned and now have a 23 mile each way commute. Just right! After about 19 miles on a busy interstate I’m ready to get off. I actually kind of like most of the freeway riding, just not the crazy fast cars or when it slows to a crawl. Have commuted on the scoot, a K7 400 since August 3-5 days a week. I don’t intentionally do the scoot in real rain or high wind. Tomorrow, its a new bike, a K8 Exec650. Darn that 500 mile 4000 rpm limitation. Have to leave early and surface street it in. I could not agree more. Have owned 9 Harleys 2 Goldwings 6 Bmw’s and numerous other makes but nothing has given me more pleasure than the Burgman 650 ,I can’t get enough of it. Why did you prefer your 650 Burgman over a BMW? I can think of a few but I would like to hear the voice of experience. I found the BMW to be to top heavy. heavy after riding a Burgman. more pleasure than any of the motorcycles you have owned?